It’s a rare occasion for me to walk into the SRC or RHRC and see people working out with a training log. Why is that? Writing down and keeping track of each workout is so important to your success. A training log can really be whatever you want it to be. If you are always in the weight room, record the exercise you did, how many reps of how much weight and how many sets you performed. Then, set a goal to lift more and see yourself progress over the weeks. If you are an elliptical hog (that’s me! ), write down the level of intensity or your estimated calories burned (although the machine is not completely accurate! ), and set a goal to do the same routine at a higher intensity or burn more calories in the same amount of time. Motivation: After a few weeks, being able to look back on how far you’ve come is so encouraging. Maybe you can bench press 20 extra pounds or you can run a mile 25 seconds faster. Looking over your progress will give you the confidence to push even further. 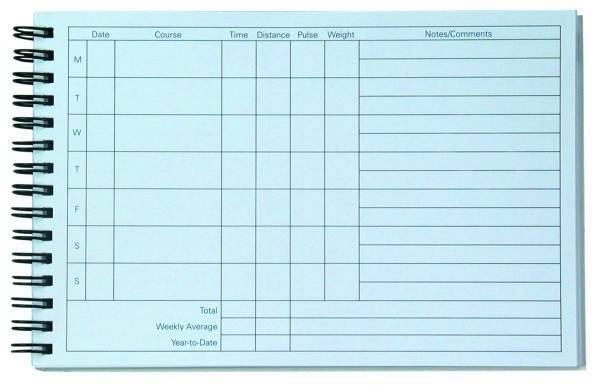 Keep You On Track: If you have a specific goal in mind, keeping a training log will hold you accountable to it. Sometimes, people will even write down their daily workout routine a week in advanced so that they won’t skip their gym time for a nap or a repeat episode of Jersey Shore (am I the only one who is guilty of this?). Write down everything so you can push yourself. Evaluation: A log will help you see what worked and what didn’t. Maybe you’ve been stuck doing the same number of deadlifts at the same weight for weeks or your three-mile run hasn’t been getting any faster. You can evaluate what you need to do to get to your goal, so next time you throw in some extra sets to your routine or do a few sprints during your next run. And if you are seeing the results you want, perfect! Keep going! Help You Switch Things Up: After doing the same routine for a number of weeks, your body gets “used to” the workout. This can lead to a plateau in your results. Seeing that you’ve been doing the same old thing for the past month may encourage you to change it up – maybe the order that you typically do each exercise or even the workout entirely. If you’ve been running a lot, try a spin class. If you’ve been doing regular pushups, try triceps (aka triangle) pushups. Keep your muscles guessing! Reality Check: Let’s be honest – sometimes we don’t train as hard as we think we do. You were at the gym for an hour, but spent three minutes between each set so it wasn’t that intense. Writing down everything will help you see what you’ve really done. You might realize that you do a lot of arm exercises but not enough lower-body exercises. A log will help you see what you need to do more or less of. 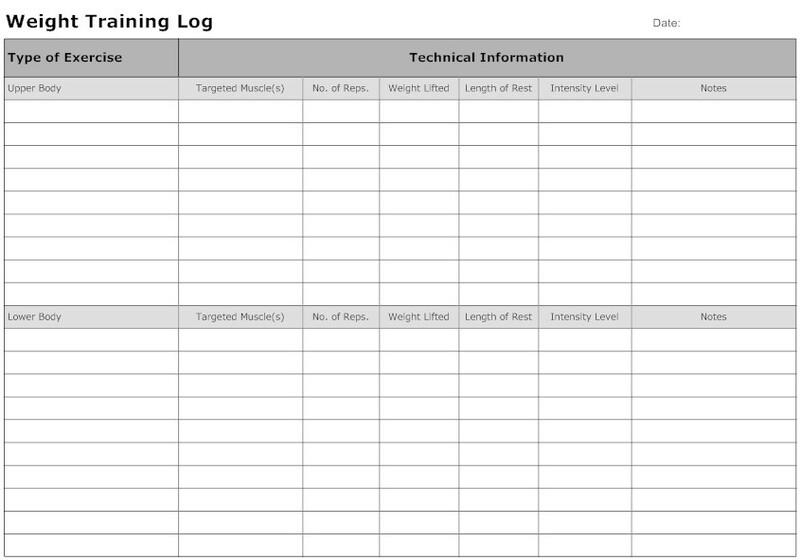 Check out the few examples of training logs below! But feel free to find one that fits YOU and your routine best! Next Article So Yes Means Yes, But How Do I Ask?